Making cranberry sauce from scratch is so simple, I wonder why I bought the canned product for so many years. 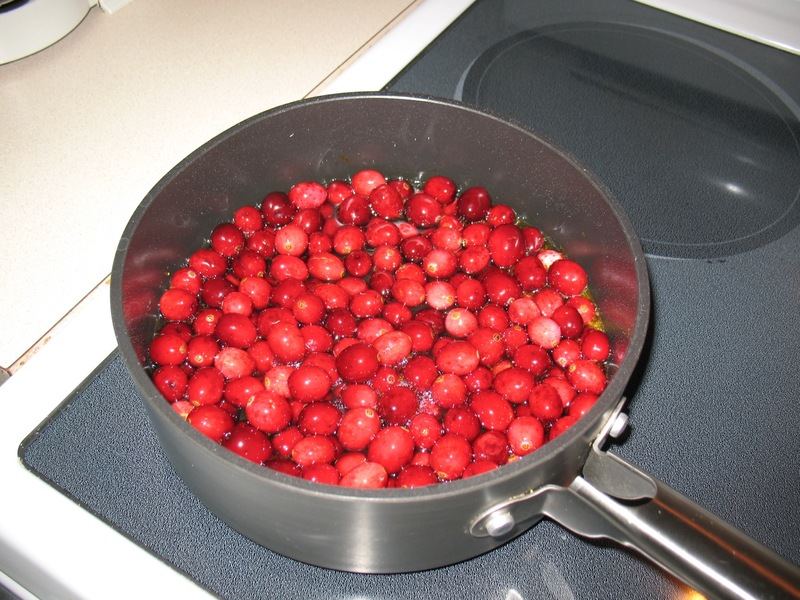 As a child, my grandmother made a wonderful homemade thanksgiving dinner, but even she poured her cranberry sauce from the can (very carefully actually, so that the ribbed lines from the side of the can were intact). This recipe from America's Test Kitchen is very easy, fast (like 20 minutes tops) and so much tastier. Boil water, sugar, orange zest and salt in medium saucepan over high heat, stirring to dissolve sugar. Stir in cranberries, return to boil. Reduce heat to medium; simmer until saucy, slightly thickened and about 2/3 of the berries have popped open, about 5 minutes. Transfer to bowl, stir in orange liqueur, cool to room temperature and serve. This is so simple to prepare. Is it wrong that I love it as much as I do?